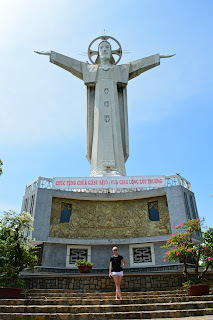 The first day whilst walking around Vung Tau, we were frequently asked if/when we were going to see the Jesus Statue. At first, I wasn’t sure what they were talking about. Outside of the one in Rio, I did not think there were any others. Apparently there are these statues all over the world (learning something new every day). 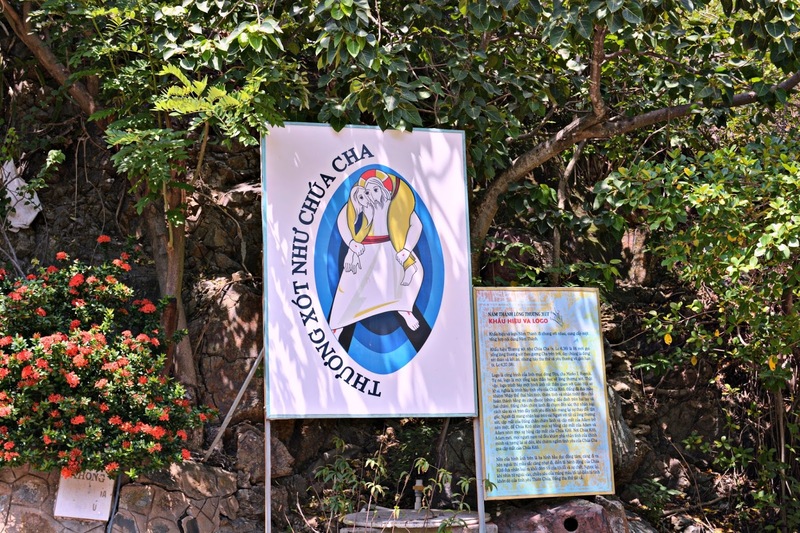 On our second day in Vung Tau, we decided to hike to see Jesus. 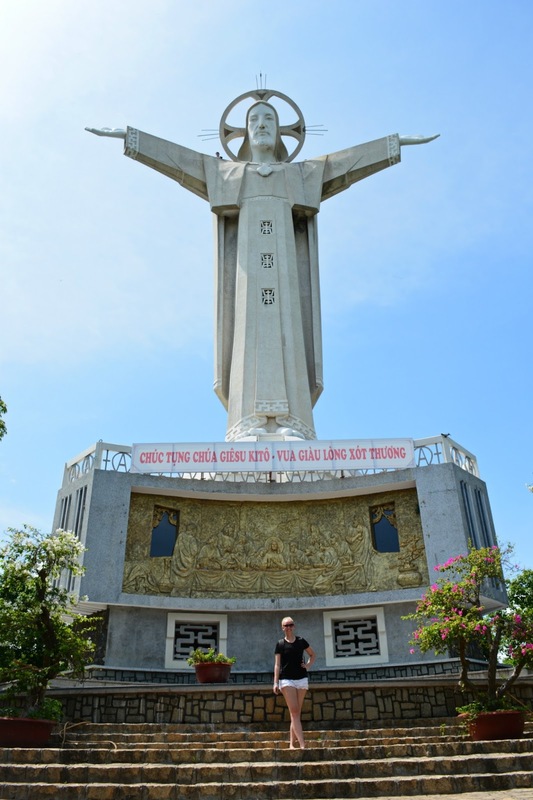 For those who think a massive Jesus statue is an incredibly random thing to find in Vietnam, you're slightly correct. 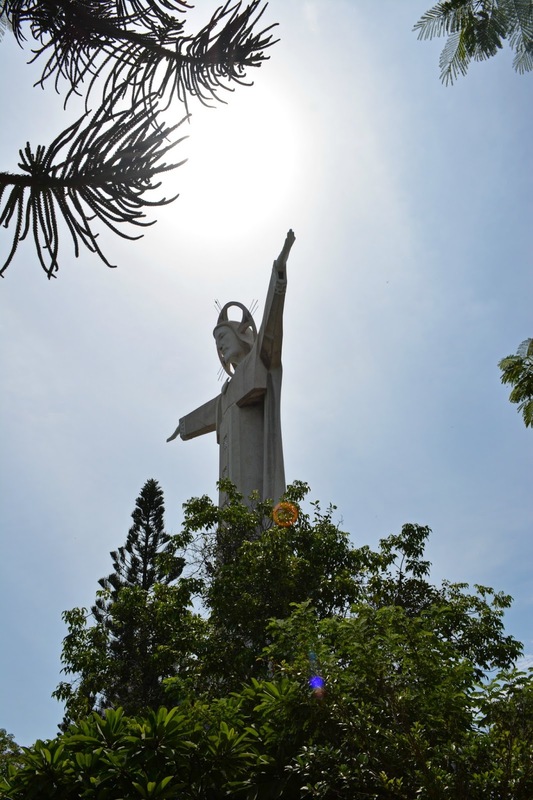 Due to the French occupying Vietnam and America’s aid there are strong Christian and Catholic ties throughout Vietnam. I'm not sure why this shocked me so much when I arrived in Vietnam. I remember seeing many Vietnamese Catholic Churches in Southern California. One of the schools I went to growing held Sunday mass in Vietnamese. It probably should have dawned on me sooner. But didn't until we started the walk to the statue. We started the walk to the base of the 811 step journey. Fortunately it wasn’t too far of a walk from our hotel. We did have to endure the endless honking and “madam where do you go?”; “motorbike”; “I take you” while we walked to the statue. Interesting side fact, I probably would have taken a cab in Vung Tau that did not honk at us. Unfortunately, this never happened. After a scenic walk down the peninsula, we started our ascent to the Jesus statue. 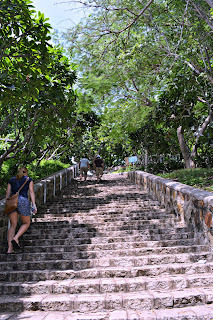 It was an incredibly hot and humid day so 811 stairs seemed like an eternity. After the first 250, I was drenched in sweat, extremely thankful that I remembered to bring a bottle of water. We decided to not be superheros whilst ascending the stairs but instead would leisurely stroll up and take a break when needed. This seemed to be a wise choice. There were quite a few people who were drenched in sweat by the time they got to the top. Once at the top you have the option of climbing up to the top of Jesus. Unfortunately, if you’re wearing shorts you will not be allowed to enter Jesus. Sadly, we found this out after we reached the top. But considering how hot and humid it was, I’m not sure climbing in Jesus would have been a fun time. Claustrophobia may have set in around mid-thigh. We did however, get some amazing shots from where we were. 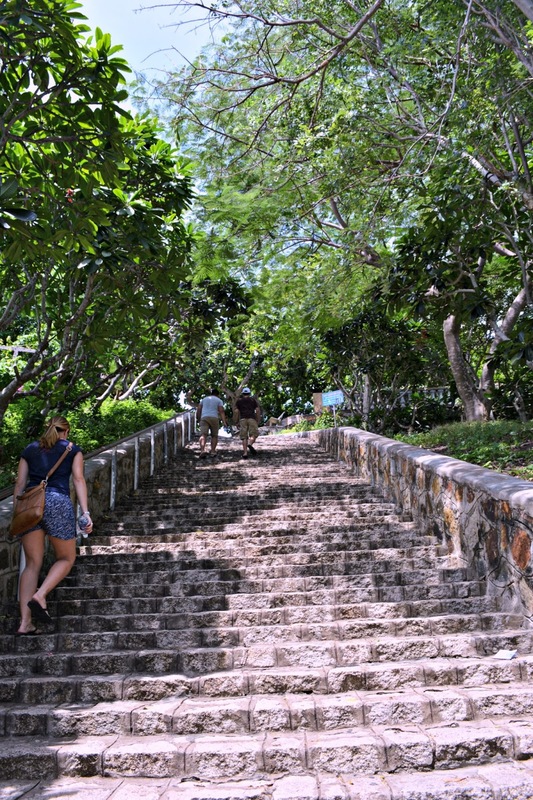 After the 811 step hike, you are greeted with an amazing view of the ocean. As tiring as the hike was, it was well worth it. 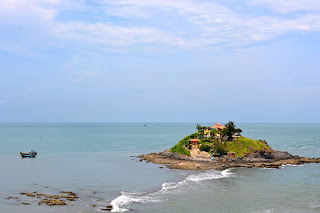 If you're ever in Vung Tau, do yourself a favour and make the journey. With the myriad of temples littering Vietnam, it was incredibly interesting to see such a large Christian influence scattered throughout a mostly Buddhist terrain. Did you miss my other adventures in the Mekong Delta and Ho Chi Minh City? Click the links to catch up on my holiday adventures! Have you ever been to Vung Tau? What was your favourite part?